Temerloh is a town in Central Pahang, Malaysia in Temerloh district. Located about 130 kilometres (81 mi) from Kuala Lumpur along the Kuantan-Kuala Lumpur trunk road2, Temerloh is the second largest town in Pahang after Kuantan. 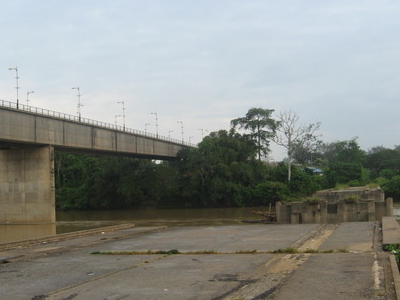 It is situated at the junction of the Pahang River and the Semantan River. The district consists of two areas, the 1,442-square-kilometre (557 sq mi) Municipal Council Area (64.08%) and the 808-square-kilometre (312 sq mi) outer Municipal Council Area (35.92%). Today, "Temerloh" usually refers to the territory under the administration of Temerloh Municipal Council or Majlis Perbandaran Temerloh, which includes the smaller towns adjacent to the city such as Mentakab, Lanchang, Kuala Krau and Kerdau. 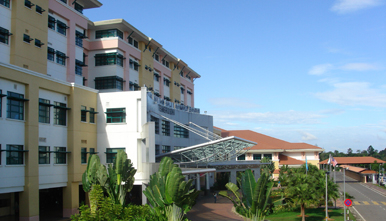 Temerloh district is bordered by Maran district on the east, Bentong on the west, Jerantut on the north, and Bera on the south. An old town with some colonial buildings and shop houses, the town has prospered in recent years as a transportation hub and new industrial center. There have been many new commercial and industrial hub built in Temerloh in recent years. Cutting travel time in half, the newly completed East Coast Expressway links the town to Kuala Lumpur and Kuantan and adds to the growth of Temerloh. Temerloh has been rebranded as "Bandar Ikan Patin", which literally means "Patin Fish Town". Patin ( Pangasius sp. ), a type of freshwater catfish is a local delicacy highly sought after in the country. Patin fish is famous for its juicy taste and can be considered one of the best freshwater fish in Malaysia and World. 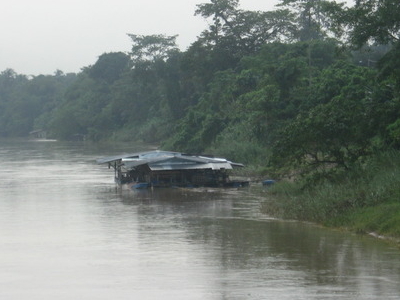 Temerloh is accessible by road transportation as it has a good connection to other cities. The East Coast Expressway connects Temerloh with Kuantan and Kuala Lumpur as well as other small towns in Pahang. This highway will soon link Kuala Lumpur to Kuala Terengganu. Alternatively, the old trunk road also connects Temerloh with other small towns in Pahang such as Jengka, Jerantut, Karak and Maran. It is also possible to travel to Temerloh by bus as there are plenty of bus services that depart from Kuala Lumpur and Kuantan daily. Here's the our members favorite photos of "Towns & Villages in Pahang". Upload your photo of Temerloh!